If you're not already familiar with LED, it's something that has been a common feature in some of the best televisions for many years now. LED stands for Light-Emitting Diode, and in a TV, the LED panel serves as a backlight. Various different areas of the screen are served by the different diodes and the brightness and color are controlled by it. It's a great feature to have in a TV because it's usually a system that will have a high range of brightness, which means that all of the colors will be given a solid amount of attention. The picture quality is very strong because of this with everything looking clear and realistic. Which 40-Inch LED TV is Right For You? 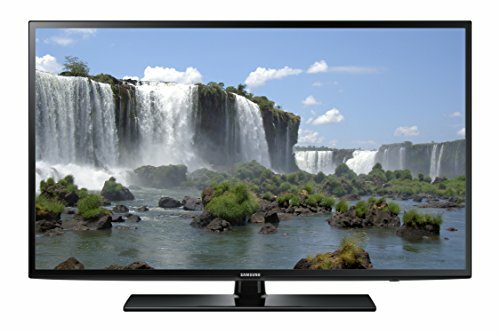 Who Makes the Best 40 Inch LED TV? 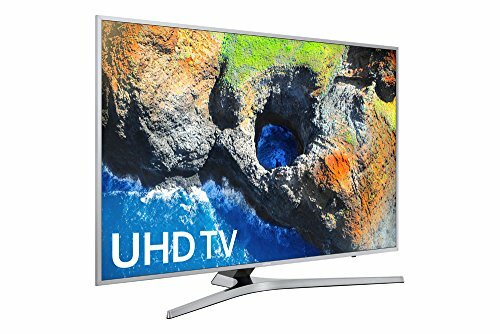 What are the Dimensions of a 40 Inch LED TV? How Many Watts Does a 40 Inch LED TV Use? How Far to Sit From a 40 Inch LED TV? So if you're looking for a good 40 inch TV, you've made the right decision by choosing LED. And 40 inches is a good size to go for, it's big enough to give you an immersive experience but not so big that it takes up half the room. For smaller TV options, you may be interested in these 32-39 Inch Televisions. There's quite a few 40-inch LED TVs to choose from and we're going to talk about 8 of the best ones right here, followed by our buying guide. You may be interested in: Best 42-Inch TV Review. Ultra High Definition screen along with HDR. A Smart TV that comes equipped with the useful OneRemote. Strong Motion Rate of 120. UHD picture with the Ultra Dimming technology. A magnificent picture thanks to HDR Premium technology. A total of 3 HDMI ports and 2 USB ports to boot. Vizio's awesome Internet Apps Plus smart hub system. LED is full-array and has a total of 8 Active LED Zones. 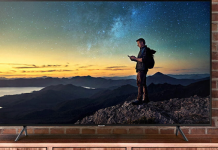 Before we get into each of these LED TVs and their respective strengths and weaknesses, wed like to mention that every single 40 inch TV that weve chosen for this list has an Energy Star rating of at least 75. This means that the LED Televisions shown here are very energy efficient and as a result will save you less money on electricity in the long run. So with that in mind, lets get into the products themselves. We'll start things off with this excellent model from Samsung. 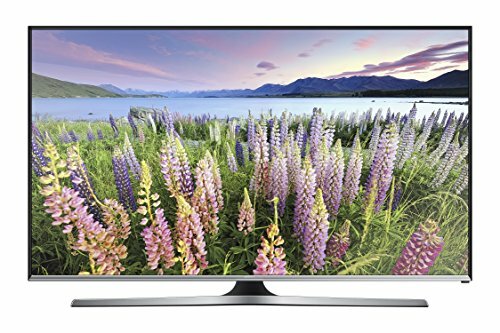 You'll be seeing quite a bit of Samsung on this list, they're one of the leading producers of high-quality televisions and this is one of their best ones. There's a lot of great things to talk about here. It's Ultra HD which means that it's got 4K resolution, a step beyond your standard High Definition screens and pretty much the best resolution that you can get these days. This 4K 40-inch UHD TV has HDR in addition to LED so you're getting a lot of focus on color and brightness here. It's also got full smart compatibility which is a huge asset. + Ultra High Definition screen along with HDR. + A Smart TV that comes equipped with the useful OneRemote. + Strong Motion Rate of 120. Why We Liked It - Youve got everything you could possibly want out of a LED TV with this 4K UHD TV. Its got an absolutely stunning picture and the all-important smart compatibility to go with it. So weve got Samsung yet again here with another fantastic product. This is quite similar to the other model that we mentioned and comes with a lot of the same awesome features. Weve also got Ultra HD in here and its also got a great feature called UHD Ultra Dimming. What this does is allow for every specific section of the screen to be dimmed and brightened individually, to a very high degree. Theres also HDR technology and its another Smart TV which comes with the all-purpose smart remote. + UHD picture with the Ultra Dimming technology. + A magnificent picture thanks to HDR Premium technology. + A total of 3 HDMI ports and 2 USB ports to boot. Why We Liked It - This Ultra HD Smart LED TV is exactly what you'd expect from Samsung TVs. A Smart 40inch TV that has a wide variety of features coming together to make sure that you get the best possible picture. VIZIO is a company that you actually dont hear a lot about but they do produce some top-notch televisions. 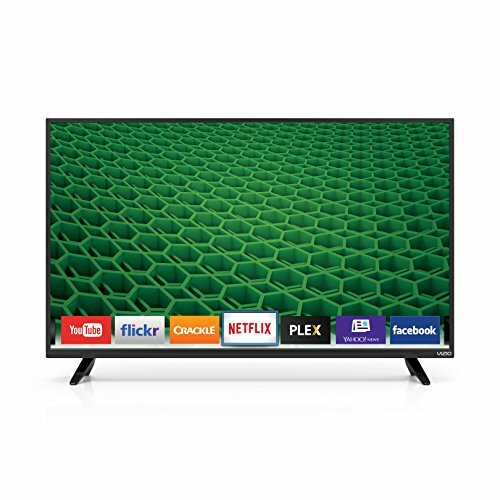 This 40-inch Vizio TV right here is one of the absolute best when it comes to 40 Inch LED TVs and its packed to the brim with great features. Ultra HD is in here in full force, meaning that youve definitely got the best possible resolution and while its not HDR it does have something called a Spatial Scaling Engine. This will make 1080p and lower resolution content look just as good as 4K. This 40-inch Vizio TV is a Smart TV and it has VIZIOs dedicated smart hub platform which is known as Internet Apps Plus. + Vizio's awesome Internet Apps Plus smart hub system. + LED is full-array and has a total of 8 Active LED Zones. Why We Liked It - This Ultra HD TV is VIZIO at their absolute best. You can expect a very strong picture quality as well as a tried and tested smart platform that is always reliable. As far as the Samsung products that weve talked about on this list, this 40-inch Samsung is probably the weakest one so far. Considering how great this model actually is though, thats really just a testament to how good Samsung are at what they do. 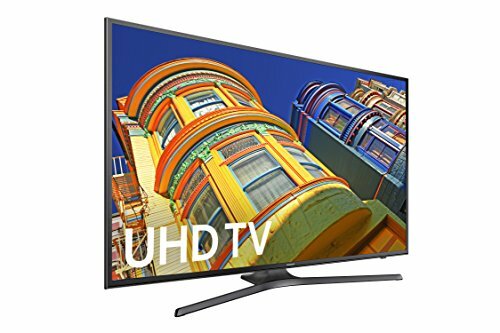 This 40-inch LED TV doesnt have Ultra HD but it does have the best standard HD resolution that you can get with full 1080p. 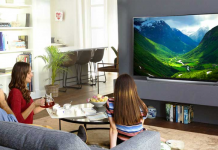 It is a Smart TV too and has a feature called Anynet+ which allows you to connect the 40inch TV to up to 12 more Samsung compatible devices and control them all with a single remote. + The Anynet+ feature is vast in scope and an awesome addition to a Smart TV. + Comes with Motion Rate 60 which ensures fluidity for the picture. + DTS Premium Sound gives you outstanding sound quality. Why We Liked It - The picture is great, the sound is great and it has a unique and reliable smart platform. 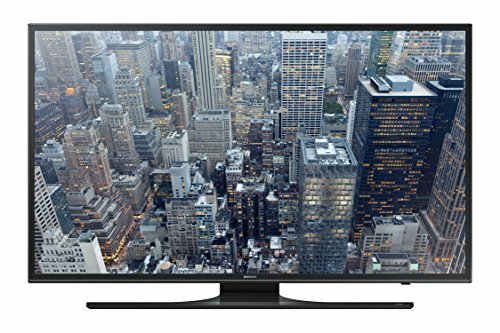 This 40 inch Smart LED TV a great option all around. Looking for a slightly bigger TV? Try these great 43 Inch TVs. If you're keeping track, this is, in fact, the fourth Samsung product to appear on this list. Seems like overkill but it really isn't, Samsung is just that good. Unlike the 40inch TV we just discussed, this 40-inch Samsung MU7000 series does actually have 4K Ultra HD which is a big plus. 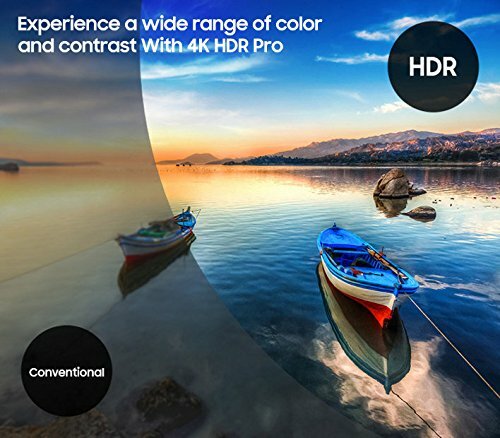 While it lacks HDR, it does have a couple of color-focused features in 4K Color Drive Pro and Essential Black Pro. As you can probably guess, these two each tackle opposite ends of the color spectrum, giving a strong focus to every shade. There's also plenty of inputs and outputs in the 40-inch Samsung MU7000 series, with a grand total of 3 HDMI ports. + Both 4k Color Drive Pro and Essential Black Pro. + A high Motion Rate of 120. + Smart compatibility complete with the Samsung OneRemote. Why We Liked It - With this Ultra HD Smart LED TV you get an incredible, lifelike picture without the added cost that usually comes with HDR technology. Smart compatibility is always a worthwhile feature to have in Samsung's MU7000. 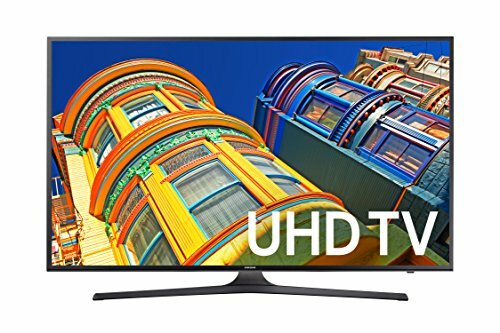 So as we mentioned about another product that appeared on this list already, this is a fantastic 40inch TV despite missing some of the features we associate with the best models. This has 1080p resolution as opposed to 4K Ultra HD which is still really strong and while theres no HDR, there is an awesome Wide Color Enhancer feature. 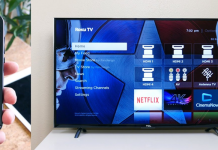 The Motion Rate is a good strong 60 and theres a feature called ConnectShare which lets you easily watch movies or TV shows from a USB storage device. You can also expect some terrific sound quality with this 40-inch Samsung thanks to the inbuilt DTS Premium sound system. + A crisp, clear 1080p LED image with fantastic color. + Plenty of inputs including the 3 HDMI ports. 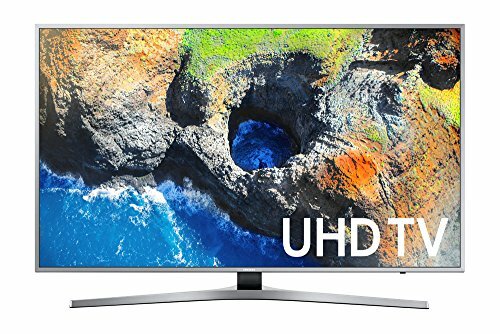 Why We Liked It - This 40 Inch Smart LED TV is Samsung putting together a fantastic product from some of the more basic features that modern UHD TVs have. You get a model that has a great picture and great audio in an affordable price range. For more affordable TVs, check out our review of TVs for under 500 bucks. Weve got a really outstanding model for you here. Ultra HD resolution is here in all of its glory and it comes complete the Ultra HD Ultra Dimming feature too. Theres smart compatibility and this particular Smart system is very easy to use. Its also compatible with any other Samsung device and can be easily connected to them all. Youll have some smooth action with Motion Rate 120 and theres also something called an Ultra Clear Panel which prevents any kind of glare on the screen. Glare is infuriating as Im sure youll agree so this is a valuable feature. + Many picture enhancing features including Ultra Clear Panel and a Contrast Enhancer. + 4 HDMI Ports and a couple of USB ports too. + Smart features like ConnectShare and Smart View 2.0. Why We Liked It - Theres an array of awesome features in this TV and everything comes together to give you a magnificent viewing experience. The smart compatibility is just the icing on the cake. And with that, we have a grand total of 7 Samsung products on this list. They deserve it though, they are always pumping out great televisions and this one here is yet another model that will blow you away. 1080p LED resolution, no HDR compatibility but the Wide Color Enhancer will still give you a bright, lifelike picture. Motion Rate 120 so those fast-paced action scenes will still look nice and smooth and the smart feature compatibility is as good as it gets. 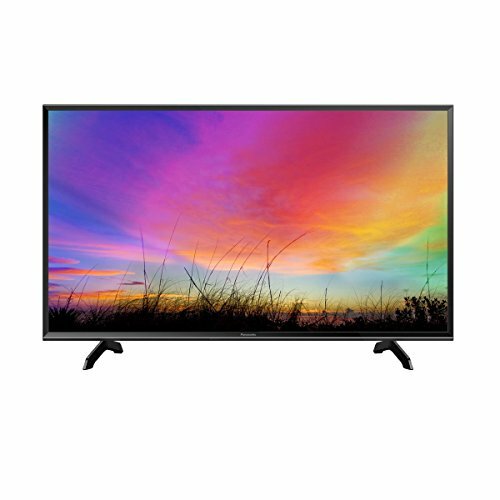 This 40 Inch LED TV also comes with ConnectShare and also has Streamlined Device Management which is a lot like Anynet+ in that it will allow you to connect to 12 different devices at a time. + A top of the line smart platform. + Outstanding fluidity with Motion Rate 120. + Great sound quality from the DTS Premium sound system. Why We Liked It - Very affordable TV with solid picture quality as well as a fantastic smart platform. Its great value for money overall. 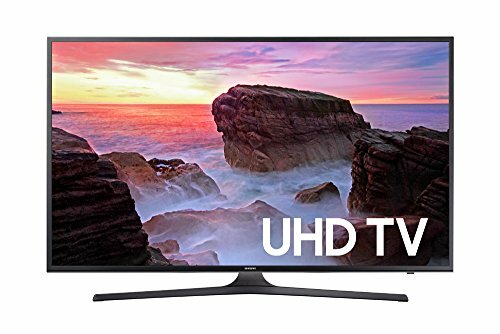 So as we've established, there are quite a few very good 40-inch LED UHD TVs to choose from here and they all have their own advantages and disadvantages. But what the ultimate decision is going to come down to, is what exactly you are looking to get out of it. Not everyone is looking for the same stuff when they buy a TV. Some people want it exclusively for TV and watching Movies, some people are avid gamers who want a gaming TV that can keep up with the current generation consoles. There's those who only watch sports and some people who just want a good TV in the house for when they have people over. Whatever your reasoning, there's a bunch of different factors to think about that will form the basis for your decision. So let's have a look at some of those factors right now. When we use the word resolution, what we're actually talking about is how much detail the screen is capable of displaying. You've most likely seen this detail represented in the form of figures. You can see them in the settings on YouTube videos and on TVs and computer monitors, the most common ones these days being 720p and 1080p. These are the two HD resolutions that would classify as being High Definition. These numbers are referring to the size of the image and how much it is actually appearing on the screen. The higher the number, the better the picture. Back when TVs first started being sold, the resolution would have sat at about 240p so they've come a long way since then and modern video capturing technology has come a long way itself. The best cameras available to film and TV production companies these days are capable of picking up an incredible amount of detail and in order for you to experience as much of this detail as possible, you need to have a TV with the resolution capabilities necessary to convey it. The same applies to video games. These days, the graphics in video games are pretty much on par with CGI animated films and a TV with good resolution is the optimal way to play them. 4K UHD is a step above 1080p and that's pretty much the best you can get these days, but it's not necessary if you don't want to spend too much. If detail is important to you, we'd recommend 1080p. High Dynamic Range, or HDR as it's more commonly referred to, is a relatively new technology that has become increasingly popular in the best 40inch TVs. It's not something that you'll find in every TV but once you've watched HDR content you'll realize how much of an improvement it is over the norm. What the technology actually does is increase the range of brightness that the screen is capable of displaying. Now, this doesn't necessarily mean that the screen is going to be abnormally bright, but actually that no matter how bright it gets, the detail won't be affected. And on the other end of the scale, no matter how dark it gets, you'll still be able to see a lot of the smaller details there too. You've probably noticed on non-HDR TVs how murky and pixelated the screen tends to get when it's a particularly dark scene that you're watching. HDR is a solution to that. Much like the issue of high resolution, this is especially important these days because of how lifelike and detailed modern movies and TV shows are. And in the case of video games, it's pretty significant too. Video Game developers are taking full advantage of modern technology to put together some expansive games with very rich, full environments for you to explore. If you don't want to miss out on all the detail that's packed into movies, games and TV shows today then you should pick a TV with HDR to watch HDR content. Now, this might not be a term that you've heard before but believe us, it's an extremely important factor when it comes to televisions. What we refer to with Motion Rate, is the response time of the images as they appear on the screen. As the name suggests, this affects any kind of motion that occurs on your television. The higher the Motion Rate, the more clear and fluid the moving images. It's at its most noticeable when things are fast-paced, so during a high-octane action movie where there are car chases and fight scenes. If you have a Motion Rate of 60 for example, something like a high-speed car chase will probably get somewhat blurry. Motion Blur can be very irritating and oftentimes it will ruin the experience. Even if you've got a TV that has great picture quality, a low Motion Rate will make everything look ugly and rough. And this one probably applies even more to video games than it does to movies because it's pretty rare that you'll find a subdued video game. There is some that have less action of course but for the most part, it's a lot of shooting and adventuring. With graphics as good as they are these days, low Motion Rate will destroy the imagery in a video game. Like we said, Motion Rate 60 isn't great but it's probably sufficient. We would, however, recommend that you look for a TV that has Motion Rate 120. The highest that you can get on a TV right now is Motion Rate 240 but that's not necessary unless you're willing to shell out extra for it. 120 should be just fine. Much like smartphones have pretty much taken over the cellphone market completely, it won't be long now before Smart TVs become the norm for TV users. You won't find many of the best LED Televisions being produced right now that don't have smart feature compatibility. It's very useful to be connected, we'd go as far as to say that it's almost essential. Smart TV offers you endless possibilities in this regard. The way that we consume media has changed these days. Set-top boxes are still a thing of course and there's plenty of people who still watch on the regular TV stations, but streaming is just as big, if not bigger than this traditional route. We get a lot of our movies and shows on Netflix, Hulu, Amazon Fire, Amazon Prime, and even YouTube is a place where you can rent a lot of movies now. All of these services started on PC, but once Smart TVs arrived on the market, this was one of the features that were there from the start. You are almost guaranteed to have at least a couple of these services downloaded onto a Smart TV when you purchase it and any of the others will be available on the app store, usually free of charge. And speaking of the app store, scrolling through that is a lot like scrolling through the play store on your phone. There are all kinds of useful stuff up there that you probably know nothing about. There are games, there are online shops, apps that offer tutorials on various things like exercise and cooking. And of course, there are a lot more streaming services to stream content than people realize. Many networks and productions companies have their own and there are specific ones for sports and news too. So this is something that we highly recommend. You'll end up getting a Smart TV at some point, might as well join the club right now! Weve said it already, probably a couple of times now, but I cant understate the importance of this: The decision is yours. You have your own specific desires and tastes and the right TV for you is not going to be the same as it is for others. So with all of the factors we discussed in mind, what you should do now is go back through them and decide which ones are absolutely essential for your TV and which ones you probably dont need. 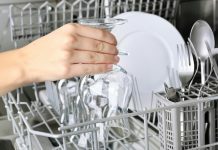 By doing this you can start eliminating some of the choices from the list of products and eventually narrow it down to just one. Theres definitely a TV out there for you, and youll be able to find out which one with a little bit of thought. We believe that the brand who makes the best 40 Inch LED TV is Samsung. As you can see, 7 out of the 8 products that appear on our list come from Samsung and thats with good reason. They know what goes into a good TV and how to best use the technology thats available. The dimensions of a 40 Inch TV (in W x H x D) will generally be about 36 x 24 x 9. This will vary a little bit from product to product, but you can expect an LED TV of 40 inches to use 31 Watts of energy. The recommended viewing distance is a bit different depending on the resolution but for a 1080p LED TV, you should sit no less than 5 feet from the TV. And for the optimal viewing experience, no more than 9 feet. Many HDR TVs will come with an extra setting known as HDR+. This sounds like an improvement, but its actually something that you should probably avoid. All that it actually does is crank up the backlight to give the illusion that the colors are more vibrant than they actually are. In doing this, you will actually lose an awful lot of the detail in an excessively bright image. 4K resolution is relatively new when it comes to televisions, but the vast majority of smartphones are already capable of shooting 4K UHD footage and have been for several years now. 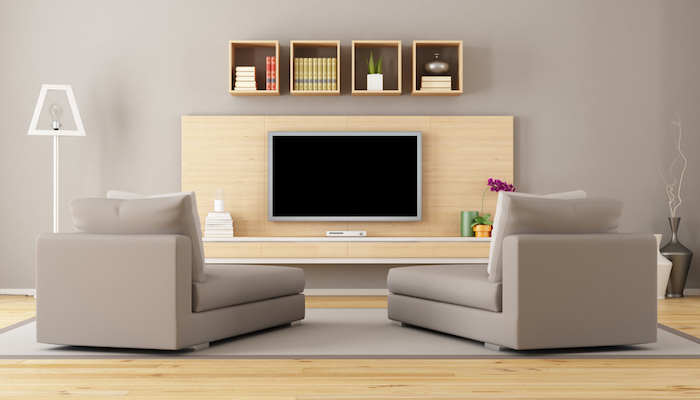 See these amazing 4K televisions we have reviewed.